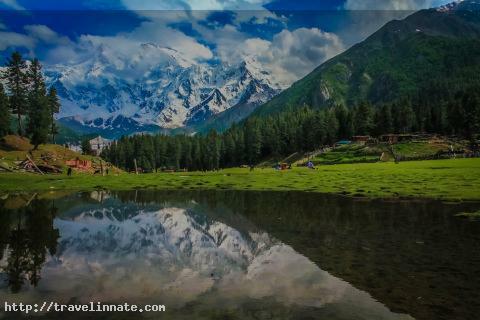 Pakistan is one of the rare countries with such a vigorous landscape; rivers, deserts, lakes, waterfalls, spring, glaciers we seem to have it all in great richness. Pakistan has been blessed with attractive locations all over the country and Hunza Valley really is one of them. It rests very famously, for its charming beauty and exclusive culture, with the residents as well as the foreigners. 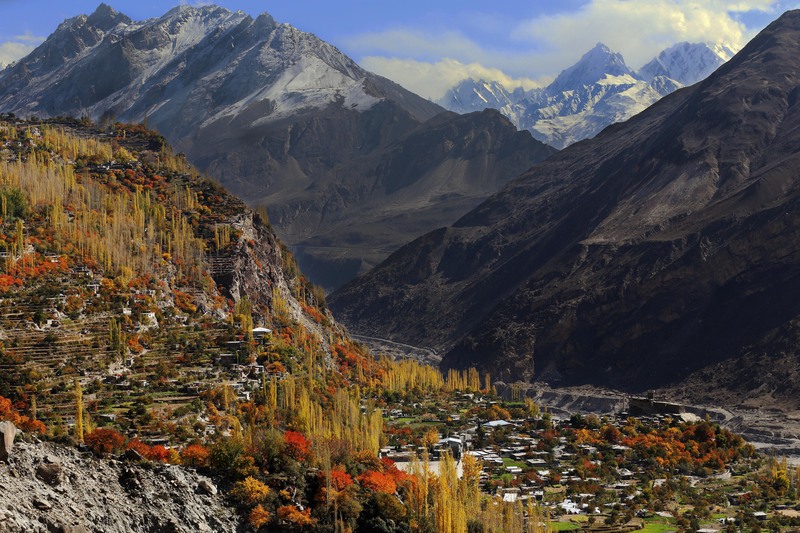 The much well-known Hunza valley is often bringing up to as heaven on earth, wrapped in the grand Himalayas and the Karakoram mountain varieties, this place has been an excessive tourist attraction for many years. The pastures, plants loaded with white, pink, and orange flowers could be brought into being all over. In mountains, one feels isolated; separated from depressions, separated from everything but the welcoming people of northern areas, the loving and gentle people that they are. Spring weather period is the one which nurtures and boosts the upcoming weather, time, and the environments. And it also nurtures one’s inspirations. The resident specialty dish of Hunza is ‘fittis’ which is very delightful and means tasting. These are mostly cakes made of wheat flour, milk, butter and salt, baked on a sizzling rock. 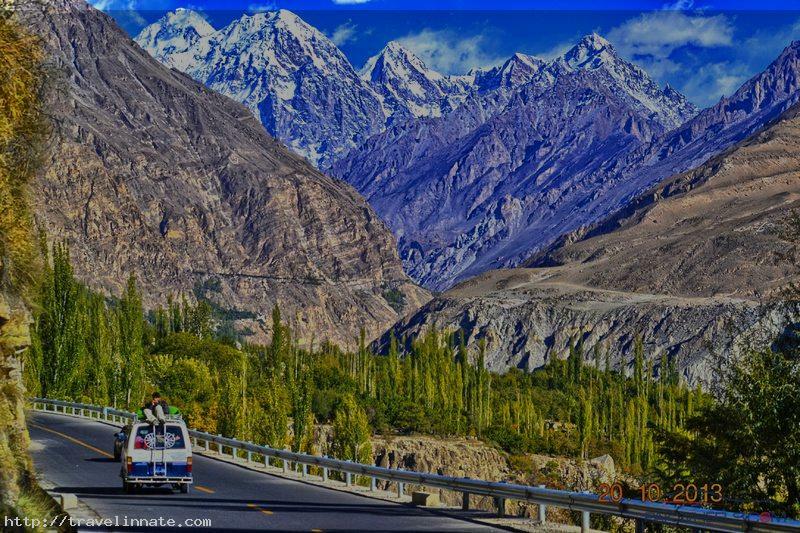 Passu having two beautiful glaciers, famous as Passu glacier and Batura glacier, these are the lengthiest glaciers in Pakistan. 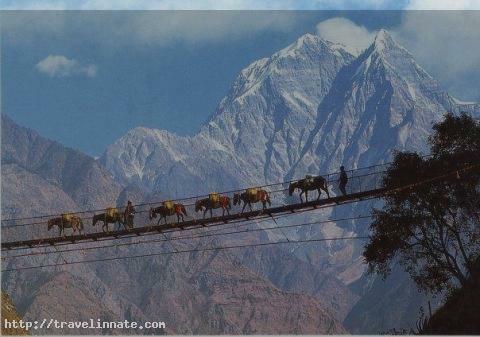 It also has a very nice region for Trekking. Passu, provide relaxed and safe camping site to tourists. Borit Lake is very slight but very famous although its green color. 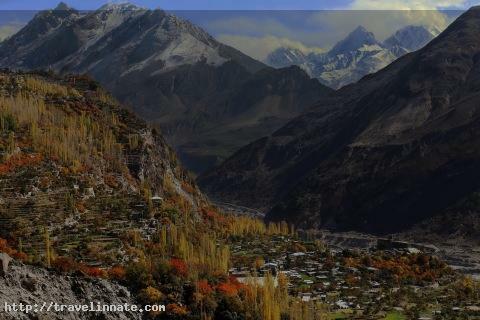 Batura has been taken from a Brushuski name (Bat-Tur) language of dominant Hunza “Bat” stands for skin and “Tur” stands for horns. In early times, there were many ibex (mount goats) which were required by snow leopards or killed by snow slip. When Bruskin men came to the region, they found many skins and horns, in and everywhere the glacier, that they said “Bat-Tur” . Well along, it became Batur and currently – days Batura. Batura has the succeeding Pasture. 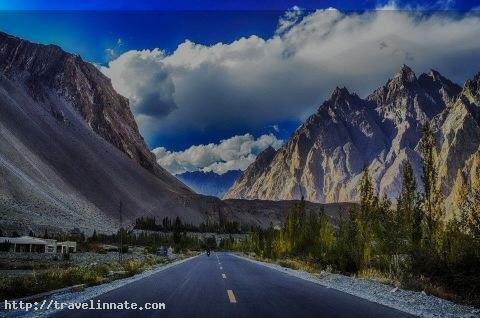 SOST: The last village on the KKH as it permits on to Khunjerab Pass and at that time into China. So is the Pakistani entry and customs post at about 2700m at a deep level. 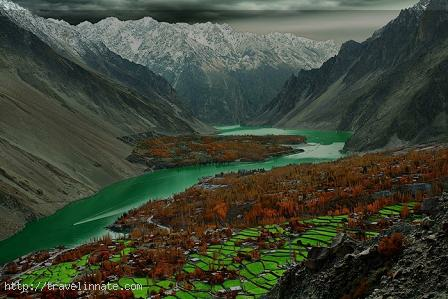 Attabad Lake is a lake in Hunza Valley in north (Gilgit-Baltistan) Pakistan. The lake was made by a landslide which occurred in the village of Attabad on 4th January 2010. 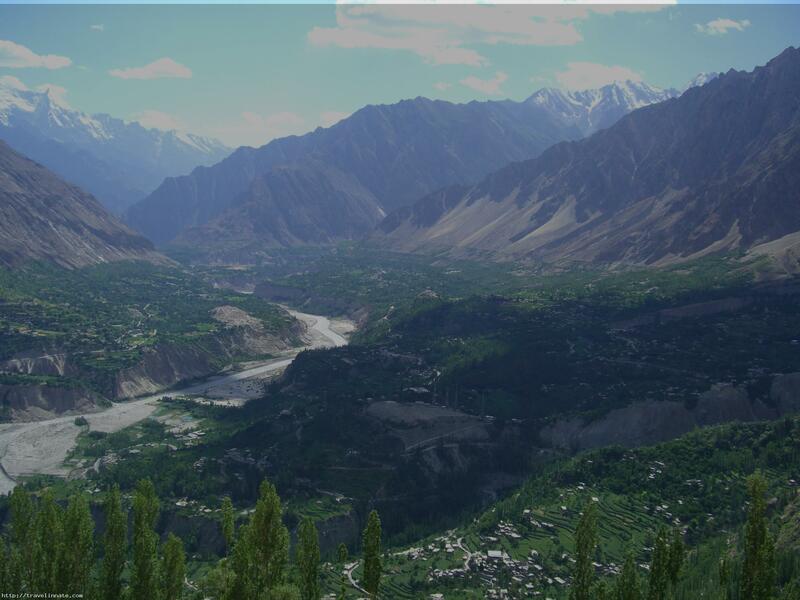 It suppressed and flooded the Karakoram Highway and choked up the flow of the Hunza River for five months. It swamped over 12 miles (19 km) of the Karakoram Highway. Apricots, apples, plums, peaches, cherries and grapes are numerous fresh fruits grown in this area. 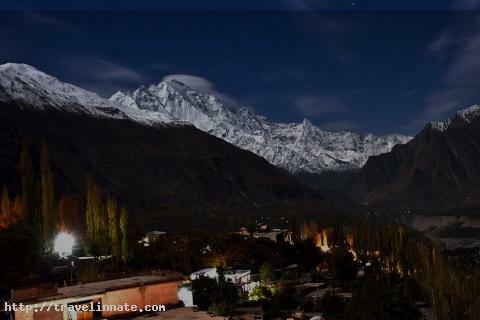 As specified before, the Hunza cash is again a nutritious food of grains. 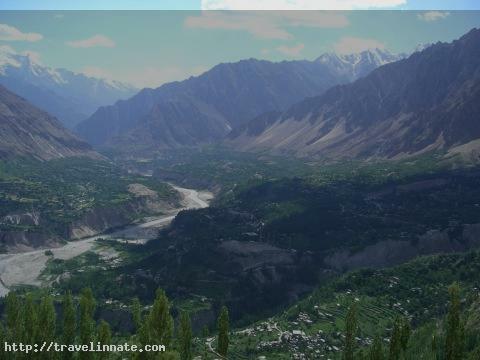 When talking about foreign guests, Grape abstract known as ‘Hunza Water’ is very popular between them. 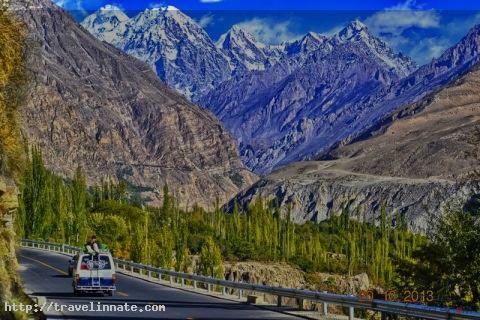 It is not dangerous Hunza valley is about 650 kilometers from Swat and nearby 800 kilometers from Waziristan the Afghan border, this area has never had any problem. In the early 1890s, the British boarded upon a mission to extension Hunza and Nagar, which is also identified as the Hunza-Nagar Campaign. British militaries ran by Colonel Durand occupied Nilt Fort in 1890. After that, they continued to the Baltit Fort but cope with heavy resistance. The British grew complete control of Hunza and Nagar with slight effort. Afterward, the Mir of Hunza, Safdar Ali Khan along with his family, escaped to Kashgar in China, and his brother Mir Muhammad Nazim Khan was prepared the new leader of Hunza by the British. I just want to tell you that I’m very new to blogging and actually liked this blog site. More than likely I’m want to bookmark your site . You definitely come with fabulous articles. Thanks for sharing with us your website page. Greetings from Carolina! I’m bored to death at work so I decided to browse your website on my iphone during lunch break. I really like the information you present here and can’t wait to take a look when I get home. I’m amazed at how quick your blog loaded on my mobile .. I’m not even using WIFI, just 3G .. Anyways, excellent site! Hey there! This post could not be written any better! Reading this post reminds me of my old room mate! He always kept chatting about this. I will forward this page to him. Fairly certain he will have a good read. Thanks for sharing! At this time it appears like BlogEngine is the top blogging platform out there right now. (from what I’ve read) Is that what you’re using on your blog? My partner and I stumbled over here different website and thought I should check things out. I like what I see so now i am following you. Look forward to looking at your web page repeatedly. Hello! I just wanted to ask if you ever have any issues with hackers? My last blog (wordpress) was hacked and I ended up losing months of hard work due to no backup. Do you have any solutions to stop hackers? Thanks , I have recently been searching for information about this topic for a while and yours is the best I’ve came upon so far. However, what in regards to the conclusion? Are you sure concerning the supply? I would like to show some appreciation to the writer just for bailing me out of this condition. Just after looking throughout the internet and obtaining advice which are not powerful, I believed my life was well over. Being alive without the solutions to the difficulties you’ve sorted out through your review is a crucial case, as well as ones which could have negatively damaged my career if I hadn’t encountered your blog post. Your own personal expertise and kindness in maneuvering the whole lot was useful. I am not sure what I would have done if I had not encountered such a step like this. I’m able to at this time relish my future. Thank you so much for the reliable and sensible help. I will not think twice to refer your blog to any person who wants and needs guidance on this issue. I do agree with all of the ideas you have introduced on your post. They are really convincing and can definitely work. Still, the posts are too short for newbies. May just you please extend them a bit from subsequent time? Thanks for the post. Woah! I’m really digging the template/theme of this blog. It’s simple, yet effective. A lot of times it’s challenging to get that “perfect balance” between superb usability and appearance. I must say you’ve done a superb job with this. Additionally, the blog loads extremely quick for me on Safari. Outstanding Blog! Do you have a spam issue on this site; I also am a blogger, and I was curious about your situation; many of us have developed some nice methods and we are looking to swap techniques with others, be sure to shoot me an email if interested. Hello! I just wanted to ask if you ever have any issues with hackers? My last blog (wordpress) was hacked and I ended up losing a few months of hard work due to no back up. Do you have any solutions to prevent hackers? Hello! I understand this is kind of off-topic but I needed to ask. Does building a well-established website such as yours take a lot of work? I am brand new to running a blog however I do write in my journal on a daily basis. I’d like to start a blog so I will be able to share my own experience and thoughts online. Please let me know if you have any kind of recommendations or tips for brand new aspiring blog owners. Thankyou! Hi there, i read your blog from time to time and i own a similar one and i was just wondering if you get a lot of spam comments? If so how do you stop it, any plugin or anything you can advise? I get so much lately it’s driving me mad so any help is very much appreciated. I enjoy what you guys tend to be up too. This type of clever work and coverage! Keep up the wonderful works guys I’ve incorporated you guys to blogroll. Exceptional post however I was wanting to know if you could write a litte more on this subject? I’d be very thankful if you could elaborate a little bit more. Appreciate it! Howdy, i read your blog from time to time and i own a similar one and i was just curious if you get a lot of spam responses? If so how do you stop it, any plugin or anything you can advise? I get so much lately it’s driving me insane so any help is very much appreciated. My partner and I stumbled over here coming from a different web page and thought I might as well check things out. I like what I see so now i’m following you. Look forward to looking over your web page again. Hello! I’ve been following your site for a long time now and finally got the bravery to go ahead and give you a shout out from Huffman Tx! Just wanted to tell you keep up the good job! Greetings from California! I’m bored at work so I decided to browse your blog on my iphone during lunch break. I love the information you present here and can’t wait to take a look when I get home. I’m shocked at how fast your blog loaded on my phone .. I’m not even using WIFI, just 3G .. Anyways, awesome blog! Superb post but I was wondering if you could write a litte more on this subject? I’d be very grateful if you could elaborate a little bit more. Kudos! First of all I would like to say superb blog! I had a quick question that I’d like to ask if you don’t mind. I was interested to know how you center yourself and clear your head prior to writing. I’ve had a hard time clearing my thoughts in getting my ideas out. I do take pleasure in writing but it just seems like the first 10 to 15 minutes are usually wasted simply just trying to figure out how to begin. Any suggestions or tips? Thanks! Howdy, i read your blog from time to time and i own a similar one and i was just wondering if you get a lot of spam comments? If so how do you prevent it, any plugin or anything you can advise? I get so much lately it’s driving me insane so any assistance is very much appreciated. Have you ever considered about including a little bit more than just your articles? I mean, what you say is fundamental and all. 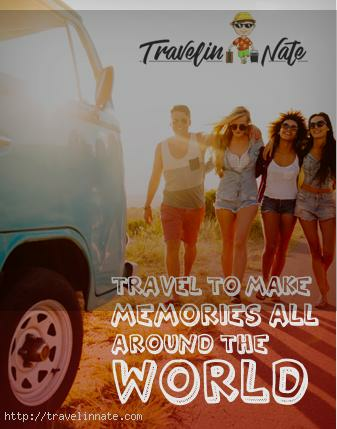 However think of if you added some great pictures or videos to give your posts more, “pop”! Your content is excellent but with pics and video clips, this blog could certainly be one of the greatest in its field. Very good blog! Hello, i read your blog from time to time and i own a similar one and i was just curious if you get a lot of spam comments? If so how do you protect against it, any plugin or anything you can recommend? I get so much lately it’s driving me insane so any support is very much appreciated. Hmm it appears like your site ate my first comment (it was super long) so I guess I’ll just sum it up what I had written and say, I’m thoroughly enjoying your blog. I too am an aspiring blog writer but I’m still new to the whole thing. Do you have any suggestions for first-time blog writers? I’d certainly appreciate it. Please let me know if you’re looking for a article writer for your site. You have some really great posts and I believe I would be a good asset. If you ever want to take some of the load off, I’d absolutely love to write some material for your blog in exchange for a link back to mine. Please blast me an email if interested. Kudos! Howdy! Quick question that’s completely off topic. Do you know how to make your site mobile friendly? My web site looks weird when browsing from my apple iphone. I’m trying to find a template or plugin that might be able to fix this issue. If you have any recommendations, please share. Many thanks! Howdy would you mind sharing which blog platform you’re working with? I’m going to start my own blog in the near future but I’m having a difficult time choosing between BlogEngine/Wordpress/B2evolution and Drupal. The reason I ask is because your design and style seems different then most blogs and I’m looking for something unique. P.S Sorry for being off-topic but I had to ask! Excellent read, I just passed this onto a friend who was doing a little research on that. And he actually bought me lunch as I found it for him smile Thus let me rephrase that: Thank you for lunch! “For most of history, Anonymous was a woman.” by Virginia Woolf. Utterly composed subject material, appreciate it for selective information. “The earth was made round so we would not see too far down the road.” by Karen Blixen. Thanks for sharing excellent informations. Your site is very cool. I am impressed by the details that you have on this website. It reveals how nicely you understand this subject. Bookmarked this website page, will come back for extra articles. You, my pal, ROCK! I found just the info I already searched everywhere and simply couldn’t come across. What a perfect website. Hi, Neat post. There’s a problem along with your web site in web explorer, may test this… IE nonetheless is the marketplace chief and a huge section of other folks will miss your fantastic writing due to this problem. hello!,I really like your writing very so much! percentage we keep up a correspondence extra approximately your article on AOL? I need a specialist in this space to resolve my problem. Maybe that’s you! Having a look forward to see you. It¡¦s really a cool and helpful piece of info. I am happy that you shared this useful info with us. Please keep us up to date like this. Thanks for sharing. Excellent goods from you, man. I’ve understand your stuff previous to and you are just too magnificent. I really like what you have acquired here, certainly like what you’re saying and the way in which you say it. You make it entertaining and you still care for to keep it smart. I cant wait to read far more from you. This is really a great site. Hello, Neat post. There’s an issue along with your site in web explorer, may check this… IE still is the market leader and a large section of people will pass over your magnificent writing due to this problem. Nice post. I was checking constantly this blog and I’m impressed! Very useful info specially the last part 🙂 I care for such info much. I was seeking this certain information for a long time. Thank you and best of luck. I do believe all of the ideas you have introduced on your post. They’re really convincing and will definitely work. Still, the posts are too quick for novices. May just you please extend them a bit from subsequent time? Thank you for the post. Good – I should certainly pronounce, impressed with your website. I had no trouble navigating through all tabs and related info ended up being truly easy to do to access. I recently found what I hoped for before you know it at all. Reasonably unusual. Is likely to appreciate it for those who add forums or something, website theme . a tones way for your client to communicate. Nice task. great points altogether, you just gained a emblem new reader. What would you recommend about your submit that you simply made a few days ago? Any certain? I intended to compose you a little note in order to thank you so much over again regarding the awesome thoughts you have contributed here. It was seriously open-handed with you in giving freely just what many of us would’ve sold as an ebook to make some money on their own, notably considering the fact that you could possibly have tried it if you ever wanted. These thoughts in addition served as the good way to fully grasp someone else have the same passion much like my personal own to see somewhat more in respect of this problem. I know there are lots of more pleasant occasions up front for individuals who go through your blog post. It¡¦s actually a great and useful piece of info. I am satisfied that you simply shared this helpful info with us. Please stay us up to date like this. Thanks for sharing. What i do not understood is in truth how you’re no longer really much more neatly-liked than you may be right now. You’re very intelligent. You already know therefore significantly with regards to this subject, made me in my view believe it from a lot of numerous angles. Its like women and men aren’t interested until it is something to do with Woman gaga! Your own stuffs outstanding. At all times handle it up! I would like to thnkx for the efforts you have put in writing this blog. I am hoping the same high-grade blog post from you in the upcoming as well. In fact your creative writing skills has encouraged me to get my own site now. Really the blogging is spreading its wings fast. Your write up is a good example of it. Somebody necessarily assist to make significantly articles I’d state. This is the first time I frequented your web page and to this point? I amazed with the research you made to create this particular put up amazing. Great job! Hi! I’ve been following your web site for a long time now and finally got the courage to go ahead and give you a shout out from New Caney Tx! Just wanted to mention keep up the good job! Very good website you have here but I was curious about if you knew of any discussion boards that cover the same topics discussed here? I’d really love to be a part of online community where I can get advice from other experienced individuals that share the same interest. If you have any recommendations, please let me know. Many thanks! Please let me know if you’re looking for a author for your site. You have some really good articles and I believe I would be a good asset. If you ever want to take some of the load off, I’d love to write some content for your blog in exchange for a link back to mine. Please blast me an e-mail if interested. Thanks! You actually make it appear really easy along with your presentation however I find this topic to be really one thing which I think I might never understand. It kind of feels too complex and very vast for me. I am looking ahead to your subsequent post, I will try to get the cling of it! Does your blog have a contact page? I’m having problems locating it but, I’d like to shoot you an email. I’ve got some suggestions for your blog you might be interested in hearing. Either way, great site and I look forward to seeing it expand over time. Magnificent website. Plenty of helpful info here. I am sending it to some pals ans additionally sharing in delicious. And of course, thank you in your effort! My wife and i have been very happy that Edward managed to finish up his basic research from the ideas he discovered in your site. It is now and again perplexing to just always be making a gift of thoughts the rest could have been trying to sell. We really discover we’ve got the blog owner to be grateful to for that. The entire illustrations you made, the simple site navigation, the friendships you can give support to create – it is most awesome, and it’s really leading our son and us reason why that article is interesting, which is certainly seriously fundamental. Many thanks for everything! fantastic issues altogether, you just received a new reader. What could you recommend about your put up that you made a few days in the past? Any sure? Useful information. Fortunate me I discovered your website by chance, and I’m surprised why this accident didn’t happened in advance! I bookmarked it. I was just seeking this information for some time. After 6 hours of continuous Googleing, at last I got it in your website. I wonder what’s the lack of Google strategy that do not rank this type of informative websites in top of the list. Generally the top websites are full of garbage. Very well written information. It will be supportive to everyone who employess it, as well as yours truly :). Keep up the good work – i will definitely read more posts. I am writing to make you be aware of what a exceptional discovery our princess found browsing your webblog. She discovered a lot of things, which included how it is like to have a marvelous coaching mood to let a number of people really easily completely grasp specified extremely tough things. You actually did more than our expected results. Many thanks for distributing these effective, trustworthy, educational and as well as fun thoughts on that topic to Julie. Great site. Plenty of useful information here. I am sending it to several pals ans additionally sharing in delicious. And naturally, thank you to your effort! Hi there very nice website!! Man .. Beautiful .. Wonderful .. I will bookmark your website and take the feeds also¡KI am glad to seek out so many helpful info here in the publish, we need develop extra techniques on this regard, thank you for sharing. . . . . . Please let me know if you’re looking for a article writer for your weblog. You have some really great posts and I feel I would be a good asset. If you ever want to take some of the load off, I’d really like to write some articles for your blog in exchange for a link back to mine. Please blast me an email if interested. Regards! hello!,I like your writing very much! share we keep in touch extra approximately your post on AOL? I require an expert on this area to unravel my problem. Maybe that’s you! Having a look forward to look you. It is in reality a great and useful piece of information. I am satisfied that you shared this helpful info with us. Please keep us informed like this. Thanks for sharing. With havin so much written content do you ever run into any issues of plagorism or copyright infringement? My website has a lot of unique content I’ve either created myself or outsourced but it appears a lot of it is popping it up all over the internet without my permission. Do you know any ways to help protect against content from being stolen? I’d certainly appreciate it. My developer is trying to convince me to move to .net from PHP. I have always disliked the idea because of the costs. But he’s tryiong none the less. I’ve been using Movable-type on a variety of websites for about a year and am concerned about switching to another platform. I have heard great things about blogengine.net. Is there a way I can import all my wordpress content into it? Any kind of help would be greatly appreciated! First off I want to say terrific blog! I had a quick question in which I’d like to ask if you don’t mind. I was curious to know how you center yourself and clear your thoughts before writing. I have had a difficult time clearing my thoughts in getting my thoughts out. I truly do take pleasure in writing but it just seems like the first 10 to 15 minutes are usually lost simply just trying to figure out how to begin. Any suggestions or tips? Many thanks! Hey there! I could have sworn I’ve been to this website before but after reading through some of the post I realized it’s new to me. Nonetheless, I’m definitely happy I found it and I’ll be book-marking and checking back often! Enjoyed studying this, very good stuff, thanks . “What the United States does best is to understand itself. What it does worst is understand others.” by Carlos Fuentes. Fantastic website. Plenty of helpful information here. I’m sending it to several buddies ans also sharing in delicious. And naturally, thank you to your sweat! whoah this weblog is magnificent i really like studying your articles. Stay up the good work! You recognize, a lot of individuals are looking round for this information, you could help them greatly. Have you ever thought about writing an ebook or guest authoring on other websites? I have a blog based on the same ideas you discuss and would really like to have you share some stories/information. I know my subscribers would appreciate your work. If you’re even remotely interested, feel free to shoot me an email. Hey! I could have sworn I’ve been to this site before but after browsing through some of the post I realized it’s new to me. Anyhow, I’m definitely happy I found it and I’ll be book-marking and checking back often! Greetings from Colorado! I’m bored to death at work so I decided to check out your blog on my iphone during lunch break. I really like the knowledge you present here and can’t wait to take a look when I get home. I’m surprised at how quick your blog loaded on my phone .. I’m not even using WIFI, just 3G .. Anyhow, awesome blog! Howdy! This post could not be written any better! Reading through this post reminds me of my old room mate! He always kept talking about this. I will forward this page to him. Pretty sure he will have a good read. Thank you for sharing! I want to show my thanks to this writer just for rescuing me from this type of predicament. As a result of browsing through the the web and coming across recommendations that were not pleasant, I figured my entire life was over. Being alive without the presence of solutions to the difficulties you have solved all through your entire review is a serious case, as well as ones which could have badly affected my career if I had not come across your web blog. That training and kindness in dealing with everything was invaluable. I am not sure what I would’ve done if I hadn’t come across such a subject like this. It’s possible to at this point relish my future. Thanks for your time very much for the professional and amazing guide. I will not think twice to propose your web site to anyone who would like counselling about this subject. Greetings I am so delighted I found your weblog, I really found you by error, while I was searching on Askjeeve for something else, Anyhow I am here now and would just like to say kudos for a marvelous post and a all round enjoyable blog (I also love the theme/design), I don’t have time to read it all at the moment but I have book-marked it and also included your RSS feeds, so when I have time I will be back to read a great deal more, Please do keep up the superb job. I am curious to find out what blog platform you’re utilizing? I’m experiencing some minor security issues with my latest blog and I’d like to find something more safe. Do you have any solutions? Heya exceptional website! Does running a blog such as this take a great deal of work? I’ve no knowledge of coding but I had been hoping to start my own blog in the near future. Anyway, should you have any suggestions or techniques for new blog owners please share. I know this is off topic however I simply wanted to ask. Thanks a lot! Nice read, I just passed this onto a friend who was doing a little research on that. And he just bought me lunch as I found it for him smile So let me rephrase that: Thank you for lunch! “One who’s our friend is fond of us one who’s fond of us isn’t necessarily our friend.” by Geoffrey F. Albert. Good day very cool web site!! Guy .. Beautiful .. Wonderful .. I’ll bookmark your website and take the feeds additionally¡KI’m happy to find numerous useful info right here within the post, we want work out more strategies in this regard, thank you for sharing. . . . . .
Whats Happening i’m new to this, I stumbled upon this I’ve found It absolutely helpful and it has helped me out loads. I am hoping to give a contribution & aid other customers like its helped me. Great job. I was just looking for this info for a while. After six hours of continuous Googleing, finally I got it in your site. I wonder what’s the lack of Google strategy that don’t rank this kind of informative sites in top of the list. Usually the top sites are full of garbage. It’s in point of fact a nice and useful piece of information. I’m happy that you simply shared this helpful information with us. Please keep us informed like this. Thank you for sharing. Whats Happening i am new to this, I stumbled upon this I’ve found It positively helpful and it has helped me out loads. I am hoping to give a contribution & aid different customers like its helped me. Good job. I have to show my admiration for your generosity in support of persons who absolutely need assistance with this particular area of interest. Your very own dedication to getting the message along has been certainly invaluable and has truly empowered associates much like me to arrive at their targets. Your personal useful help can mean a great deal to me and further more to my colleagues. Best wishes; from all of us. I wanted to develop a comment so as to thank you for the precious facts you are posting here. My rather long internet search has at the end of the day been rewarded with beneficial tips to go over with my friends and family. I ‘d claim that many of us visitors actually are definitely blessed to live in a decent network with so many outstanding professionals with good tips and hints. I feel truly grateful to have discovered the web page and look forward to plenty of more exciting minutes reading here. Thank you again for all the details. you are truly a just right webmaster. The site loading speed is amazing. It seems that you’re doing any distinctive trick. Also, The contents are masterpiece. you have done a wonderful task on this subject! Great tremendous issues here. I¡¦m very satisfied to see your post. Thank you a lot and i’m taking a look forward to contact you. Will you please drop me a mail? whoah this weblog is great i really like reading your articles. Keep up the good work! You realize, many individuals are searching around for this info, you can aid them greatly. I am not certain where you’re getting your info, however good topic. I must spend a while learning more or understanding more. Thanks for excellent information I used to be on the lookout for this info for my mission. What i don’t understood is if truth be told how you’re no longer really a lot more well-favored than you may be now. You are very intelligent. You already know thus considerably when it comes to this matter, produced me for my part believe it from numerous various angles. Its like men and women are not fascinated except it’s something to accomplish with Lady gaga! Your own stuffs great. All the time maintain it up! hi!,I love your writing very so much! percentage we communicate extra about your post on AOL? I require a specialist in this space to resolve my problem. May be that is you! Taking a look ahead to see you. You have mentioned very interesting details ! ps decent website . “Sutton lost 13 games in a row without winning a ballgame.” by Ralph Kiner. Magnificent site. Plenty of helpful information here. I’m sending it to some friends ans also sharing in delicious. And obviously, thanks in your sweat! you are actually a excellent webmaster. The site loading speed is amazing. It sort of feels that you’re doing any unique trick. Furthermore, The contents are masterwork. you have done a fantastic task on this matter! Hello, Neat post. There is a problem along with your site in web explorer, could check this… IE still is the market chief and a huge component to folks will pass over your excellent writing because of this problem. naturally like your web-site but you need to take a look at the spelling on several of your posts. Many of them are rife with spelling problems and I in finding it very bothersome to tell the reality on the other hand I will certainly come back again. It is in point of fact a nice and useful piece of information. I am happy that you just shared this helpful info with us. Please keep us up to date like this. Thanks for sharing. Very interesting points you have remarked, thanks for posting . “Strength does not come from physical capacity. It comes from an indomitable will.” by Mohandas Karamchand Gandhi. I¡¦ll right away clutch your rss as I can not find your e-mail subscription link or newsletter service. Do you’ve any? Please permit me realize in order that I may subscribe. Thanks. You have remarked very interesting points ! ps decent site. “Never take the advice of someone who has not had your kind of trouble.” by Sydney J. Harris. Simply want to say your article is as amazing. The clarity in your post is just excellent and i could assume you’re an expert on this subject. Well with your permission allow me to grab your feed to keep up to date with forthcoming post. Thanks a million and please keep up the rewarding work. I not to mention my friends have already been digesting the excellent techniques found on the website and so instantly came up with an awful feeling I had not thanked the blog owner for those techniques. Those young boys came for this reason very interested to learn all of them and already have clearly been enjoying those things. Thanks for getting quite kind and then for figuring out some essential themes millions of individuals are really eager to learn about. My very own honest apologies for not expressing gratitude to you earlier. Howdy very cool website!! Man .. Beautiful .. Amazing .. I’ll bookmark your site and take the feeds additionally…I am happy to find numerous useful information right here within the post, we want develop more techniques in this regard, thank you for sharing. Simply wish to say your article is as amazing. The clearness in your post is simply cool and i could assume you are an expert on this subject. Well with your permission allow me to grab your feed to keep up to date with forthcoming post. Thanks a million and please keep up the enjoyable work. Great web site. Lots of useful information here. I’m sending it to some pals ans also sharing in delicious. And obviously, thanks on your effort! I am writing to let you be aware of of the fabulous discovery my friend’s princess developed browsing your site. She figured out a lot of issues, with the inclusion of what it is like to possess an excellent helping mindset to have many more completely completely grasp various complicated subject matter. You really surpassed our expectations. Thank you for providing such priceless, healthy, explanatory as well as cool thoughts on the topic to Sandra. fantastic issues altogether, you just gained a brand new reader. What may you suggest in regards to your put up that you made a few days ago? Any positive? Pretty section of content. I just stumbled upon your blog and in accession capital to assert that I acquire actually enjoyed account your blog posts. Any way I’ll be subscribing to your feeds and even I achievement you access consistently fast. you’re actually a good webmaster. The web site loading velocity is amazing. It sort of feels that you’re doing any distinctive trick. Also, The contents are masterwork. you’ve performed a great process in this matter! I really enjoy studying on this internet site, it contains excellent posts. “A short saying oft contains much wisdom.” by Sophocles. Very motivating data you have stated, a big heads up for writing. Usually I don’t learn article on blogs, but I would like to say that this write-up very forced me to take a look at and do it! Your writing style has been surprised me. Thanks, quite great article. you’re in point of fact a just right webmaster. The website loading velocity is incredible. It kind of feels that you’re doing any distinctive trick. Also, The contents are masterwork. you’ve performed a fantastic activity on this topic! Thank you a lot for giving everyone remarkably nice possiblity to check tips from this blog. It’s usually so great and as well , packed with a lot of fun for me and my office colleagues to search your web site not less than thrice every week to read the fresh guidance you have got. Not to mention, I’m so actually happy for the attractive information you serve. 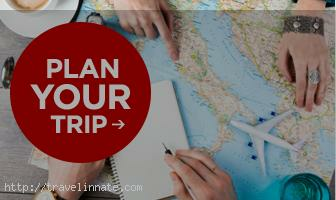 Selected 2 tips on this page are easily the most beneficial we have all had. Good day here, just turned out to be mindful of your blog through Search engine, and found that it’s really helpful. I’ll value if you decide to retain this. Please let me know if you’re looking for a article author for your weblog. You have some really great articles and I believe I would be a good asset. If you ever want to take some of the load off, I’d really like to write some articles for your blog in exchange for a link back to mine. Please send me an e-mail if interested. Many thanks! Do you mind if I quote a couple of your articles as long as I provide credit and sources back to your blog? My blog site is in the exact same area of interest as yours and my users would definitely benefit from some of the information you provide here. Please let me know if this ok with you. Regards! Its like you read my mind! You appear to know a lot about this, like you wrote the book in it or something. I think that you could do with some pics to drive the message home a bit, but other than that, this is great blog. An excellent read. I will definitely be back. Very interesting details you have mentioned , thanks for posting . “Whatever we conceive well we express clearly, and words flow with ease.” by Nicolas Boileau. I intended to create you one tiny observation just to say thanks over again regarding the unique opinions you have shown on this website. It’s really incredibly generous of people like you in giving openly just what a number of people could possibly have marketed for an electronic book to earn some bucks on their own, particularly given that you might well have tried it in case you considered necessary. Those solutions as well worked to provide a fantastic way to understand that some people have the identical eagerness like my own to grasp more and more around this matter. I know there are some more enjoyable sessions in the future for people who scan through your site. I wish to point out my affection for your generosity for folks that require guidance on this issue. Your personal commitment to getting the message up and down had been especially good and have truly enabled guys and women much like me to reach their targets. Your amazing insightful advice can mean a great deal a person like me and even further to my office workers. Regards; from everyone of us. Hello there, I found your web site by the use of Google whilst looking for a comparable subject, your site came up, it looks great. I’ve bookmarked it in my google bookmarks. Thanks for another fantastic article. Where else may just anyone get that kind of info in such an ideal method of writing? I’ve a presentation next week, and I am on the look for such info. Somebody essentially help to make seriously posts I would state. This is the very first time I frequented your web page and so far? I surprised with the research you made to make this actual put up amazing. Great process! First off I want to say awesome blog! I had a quick question that I’d like to ask if you don’t mind. I was interested to know how you center yourself and clear your head prior to writing. I have had difficulty clearing my thoughts in getting my thoughts out. I do enjoy writing however it just seems like the first 10 to 15 minutes are lost simply just trying to figure out how to begin. Any suggestions or hints? Cheers! Howdy would you mind sharing which blog platform you’re working with? I’m looking to start my own blog in the near future but I’m having a hard time deciding between BlogEngine/Wordpress/B2evolution and Drupal. The reason I ask is because your design seems different then most blogs and I’m looking for something unique. P.S My apologies for getting off-topic but I had to ask! My spouse and i were absolutely ecstatic that Ervin could round up his web research using the ideas he had using your web page. It’s not at all simplistic to simply happen to be handing out tactics which usually some other people might have been selling. So we do know we’ve got the writer to give thanks to because of that. The most important illustrations you made, the straightforward site navigation, the relationships you can make it easier to foster – it’s everything exceptional, and it’s really letting our son in addition to the family do think this subject matter is exciting, and that’s wonderfully fundamental. Many thanks for the whole lot! My spouse and i have been joyous John managed to do his web research from your ideas he was given from your own blog. It’s not at all simplistic just to find yourself giving freely thoughts that many a number of people may have been making money from. And we also do know we’ve got the blog owner to give thanks to for this. Most of the explanations you made, the easy site navigation, the relationships you can aid to instill – it’s most remarkable, and it’s making our son in addition to us consider that this issue is thrilling, and that’s wonderfully serious. Thanks for the whole thing! I have to show some appreciation to the writer just for rescuing me from such a situation. Just after surfing around through the online world and finding advice that were not pleasant, I assumed my entire life was over. Being alive without the presence of solutions to the difficulties you have fixed by means of the write-up is a serious case, and the kind which might have adversely affected my career if I hadn’t come across your site. Your actual know-how and kindness in dealing with almost everything was vital. I don’t know what I would’ve done if I hadn’t discovered such a step like this. It’s possible to at this point look forward to my future. Thanks for your time so much for the specialized and amazing help. I will not be reluctant to suggest the blog to any person who wants and needs recommendations on this situation. magnificent publish, very informative. I ponder why the opposite experts of this sector don’t realize this. You should continue your writing. I am confident, you have a huge readers’ base already! I just could not depart your site before suggesting that I extremely loved the standard info an individual supply in your visitors? Is gonna be again regularly in order to check up on new posts. F*ckin’ remarkable things here. I am very satisfied to see your article. Thank you a lot and i’m taking a look ahead to contact you. Will you kindly drop me a mail? Helpful info. Fortunate me I found your web site unintentionally, and I am stunned why this twist of fate did not came about earlier! I bookmarked it. I have to voice my respect for your kind-heartedness giving support to those who should have guidance on in this content. Your real dedication to getting the solution all-around had become definitely functional and have in every case helped ladies like me to get to their endeavors. Your personal useful hints and tips denotes so much a person like me and far more to my mates. Thanks a ton; from each one of us. Some really nice and utilitarian info on this site, as well I think the pattern contains fantastic features. What i do not realize is in fact how you’re not actually a lot more smartly-liked than you may be now. You’re so intelligent. You already know thus considerably in terms of this matter, made me individually believe it from numerous varied angles. Its like men and women don’t seem to be interested until it’s something to accomplish with Woman gaga! Your own stuffs great. Always take care of it up! Wow! This could be one particular of the most useful blogs We’ve ever arrive across on this subject. Actually Magnificent. I’m also a specialist in this topic therefore I can understand your hard work. Please let me know if you’re looking for a writer for your blog. You have some really good articles and I feel I would be a good asset. If you ever want to take some of the load off, I’d absolutely love to write some articles for your blog in exchange for a link back to mine. Please send me an e-mail if interested. Regards! Hey there! I’ve been following your blog for a long time now and finally got the courage to go ahead and give you a shout out from Dallas Tx! Just wanted to say keep up the excellent job! I was wondering if you ever considered changing the structure of your website? Its very well written; I love what youve got to say. But maybe you could a little more in the way of content so people could connect with it better. Youve got an awful lot of text for only having 1 or two images. Maybe you could space it out better? Good day I am so excited I found your site, I really found you by error, while I was researching on Google for something else, Regardless I am here now and would just like to say thanks a lot for a remarkable post and a all round enjoyable blog (I also love the theme/design), I don’t have time to read through it all at the minute but I have book-marked it and also added your RSS feeds, so when I have time I will be back to read much more, Please do keep up the excellent work. Hey! I know this is kinda off topic however I’d figured I’d ask. Would you be interested in trading links or maybe guest writing a blog post or vice-versa? My blog addresses a lot of the same topics as yours and I think we could greatly benefit from each other. If you might be interested feel free to send me an e-mail. I look forward to hearing from you! Awesome blog by the way! Hi I am so excited I found your site, I really found you by error, while I was looking on Askjeeve for something else, Anyways I am here now and would just like to say thank you for a tremendous post and a all round entertaining blog (I also love the theme/design), I don’t have time to browse it all at the moment but I have bookmarked it and also included your RSS feeds, so when I have time I will be back to read much more, Please do keep up the awesome work. We stumbled over here from a different web page and thought I might as well check things out. I like what I see so now i’m following you. Look forward to exploring your web page again. Thanks for every one of your efforts on this site. My mom really likes getting into investigations and it’s simple to grasp why. Most people know all concerning the compelling ways you create very useful solutions through this web site and even welcome participation from other ones on the issue while my princess is undoubtedly becoming educated a great deal. Enjoy the remaining portion of the year. You have been conducting a stunning job. My spouse and I stumbled over here from a different page and thought I may as well check things out. I like what I see so now i’m following you. Look forward to checking out your web page repeatedly. Hello there. I discovered your web site by means of Google even as looking for a similar subject, your web site came up. It looks great. I’ve bookmarked it in my google bookmarks to visit then. Hello, i read your blog from time to time and i own a similar one and i was just curious if you get a lot of spam remarks? If so how do you protect against it, any plugin or anything you can suggest? I get so much lately it’s driving me insane so any support is very much appreciated. Good ¡V I should certainly pronounce, impressed with your website. I had no trouble navigating through all tabs and related information ended up being truly simple to do to access. I recently found what I hoped for before you know it in the least. Reasonably unusual. Is likely to appreciate it for those who add forums or anything, web site theme . a tones way for your client to communicate. Excellent task..
wonderful issues altogether, you simply received a new reader. What would you recommend about your submit that you made some days ago? Any sure? Nice read, I just passed this onto a colleague who was doing some research on that. And he just bought me lunch since I found it for him smile So let me rephrase that: Thanks for lunch! “Bill Dickey is learning me his experience.” by Lawrence Peter Berra. Hey there. I found your web site via Google at the same time as looking for a similar matter, your web site came up. It seems good. I’ve bookmarked it in my google bookmarks to visit then. Hello there. I found your site via Google even as looking for a similar subject, your site got here up. It looks great. I have bookmarked it in my google bookmarks to come back then. Hi there. I discovered your site via Google even as searching for a related subject, your web site came up. It looks great. I’ve bookmarked it in my google bookmarks to visit then. Hey there. I found your web site by the use of Google while searching for a comparable topic, your website came up. It seems to be great. I have bookmarked it in my google bookmarks to visit then. Do you mind if I quote a couple of your articles as long as I provide credit and sources back to your weblog? My website is in the exact same area of interest as yours and my visitors would truly benefit from some of the information you provide here. Please let me know if this alright with you. Many thanks! Excellent blog! Do you have any tips and hints for aspiring writers? I’m planning to start my own blog soon but I’m a little lost on everything. Would you advise starting with a free platform like WordPress or go for a paid option? There are so many choices out there that I’m totally overwhelmed .. Any tips? Thanks a lot! Hiya, I am really glad I’ve found this information. Today bloggers publish only about gossip and internet stuff and this is really frustrating. A good web site with interesting content, this is what I need. Thanks for making this website, and I will be visiting again. Do you do newsletters by email? Usually I do not learn article on blogs, however I wish to say that this write-up very compelled me to check out and do so! Your writing taste has been surprised me. Thank you, quite nice article. What i don’t understood is if truth be told how you’re not actually a lot more well-preferred than you might be right now. You are very intelligent. You already know thus significantly when it comes to this topic, produced me personally believe it from a lot of various angles. Its like men and women aren’t involved except it’s something to do with Woman gaga! Your individual stuffs outstanding. All the time handle it up! I cling on to listening to the rumor lecture about receiving boundless online grant applications so I have been looking around for the best site to get one. Could you advise me please, where could i acquire some? Hello there. I discovered your website by means of Google while looking for a comparable matter, your web site came up. It looks great. I have bookmarked it in my google bookmarks to come back then. Hey there. I discovered your blog via Google at the same time as looking for a related matter, your web site got here up. It appears great. I’ve bookmarked it in my google bookmarks to visit then. Hi there. I found your web site by the use of Google even as looking for a comparable subject, your site got here up. It looks great. I have bookmarked it in my google bookmarks to visit then. You are my breathing in, I possess few blogs and often run out from brand :). “Truth springs from argument amongst friends.” by David Hume. I wanted to make a simple message in order to express gratitude to you for those lovely ways you are giving at this site. My considerable internet investigation has at the end of the day been paid with reputable insight to go over with my classmates and friends. I ‘d claim that many of us website visitors are unquestionably blessed to dwell in a decent community with very many special individuals with very helpful advice. I feel truly fortunate to have come across the web page and look forward to really more fabulous moments reading here. Thank you once more for all the details. Hello there. I discovered your website by way of Google whilst looking for a similar subject, your site came up. It appears good. I have bookmarked it in my google bookmarks to come back then. Hiya, I’m really glad I’ve found this info. Nowadays bloggers publish only about gossip and web stuff and this is actually annoying. 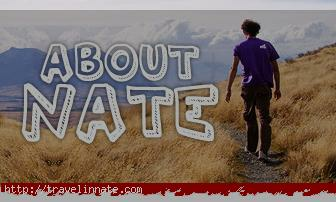 A good blog with interesting content, that’s what I need. Thanks for making this website, and I’ll be visiting again. Do you do newsletters by email? Hiya, I’m really glad I’ve found this information. Today bloggers publish just about gossip and internet stuff and this is actually annoying. A good web site with exciting content, that’s what I need. Thank you for making this web site, and I’ll be visiting again. Do you do newsletters by email? I do trust all the ideas you have presented for your post. They’re very convincing and can certainly work. Still, the posts are very brief for beginners. May you please extend them a bit from subsequent time? Thanks for the post. I do consider all of the concepts you have introduced in your post. They are really convincing and will certainly work. Still, the posts are too short for novices. May just you please extend them a little from next time? Thank you for the post. Hey there. I found your site by way of Google whilst looking for a related matter, your website came up. It appears to be great. I have bookmarked it in my google bookmarks to visit then. Hiya, I’m really glad I’ve found this information. Nowadays bloggers publish only about gossip and internet stuff and this is really annoying. A good site with interesting content, this is what I need. Thanks for making this web site, and I’ll be visiting again. Do you do newsletters by email? Hi there. I found your site via Google while looking for a related topic, your website came up. It looks good. I have bookmarked it in my google bookmarks to come back then. Hiya, I’m really glad I have found this information. Today bloggers publish just about gossip and internet stuff and this is really irritating. A good web site with exciting content, that’s what I need. Thanks for making this web-site, and I’ll be visiting again. Do you do newsletters by email? Hi there. I discovered your web site by means of Google at the same time as searching for a similar topic, your web site got here up. It appears to be good. I have bookmarked it in my google bookmarks to come back then. Hello there. I found your site by means of Google even as looking for a related subject, your website got here up. It appears to be great. I’ve bookmarked it in my google bookmarks to visit then. Hello there. I discovered your web site via Google even as searching for a comparable topic, your web site came up. It appears to be great. I have bookmarked it in my google bookmarks to visit then. Hiya, I’m really glad I have found this info. Today bloggers publish just about gossip and net stuff and this is really annoying. A good website with interesting content, that’s what I need. Thank you for making this web-site, and I’ll be visiting again. Do you do newsletters by email? I’m really enjoying the theme/design of your blog. Do you ever run into any browser compatibility problems? A couple of my blog visitors have complained about my website not working correctly in Explorer but looks great in Firefox. Do you have any advice to help fix this problem? Does your site have a contact page? I’m having problems locating it but, I’d like to send you an email. 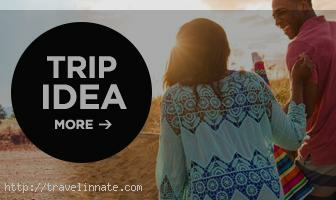 I’ve got some creative ideas for your blog you might be interested in hearing. Either way, great site and I look forward to seeing it improve over time. Hiya, I am really glad I’ve found this info. Nowadays bloggers publish just about gossip and web stuff and this is really frustrating. A good blog with exciting content, that’s what I need. Thank you for making this website, and I’ll be visiting again. Do you do newsletters by email? 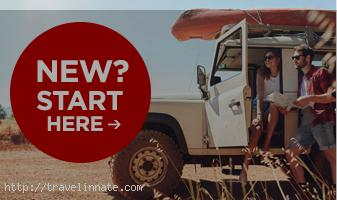 We stumbled over here different website and thought I might as well check things out. I like what I see so i am just following you. Look forward to looking into your web page repeatedly. Hiya, I’m really glad I have found this information. Today bloggers publish only about gossip and internet stuff and this is actually annoying. A good web site with exciting content, that’s what I need. Thanks for making this site, and I’ll be visiting again. Do you do newsletters by email? My spouse and i have been lucky Albert managed to finish off his inquiry while using the precious recommendations he received in your web page. It’s not at all simplistic just to possibly be handing out methods that many the rest could have been making money from. So we grasp we have the blog owner to thank because of that. The entire explanations you made, the straightforward blog navigation, the friendships you help instill – it’s got mostly incredible, and it’s really facilitating our son and the family do think this concept is brilliant, which is certainly particularly pressing. Thanks for all the pieces! Hiya, I’m really glad I’ve found this info. Today bloggers publish just about gossip and net stuff and this is actually annoying. A good blog with interesting content, this is what I need. Thanks for making this site, and I will be visiting again. Do you do newsletters by email? Hi there. I found your blog via Google while looking for a related subject, your web site got here up. It appears to be great. I’ve bookmarked it in my google bookmarks to come back then. Hi there. I discovered your site by means of Google at the same time as searching for a related subject, your site came up. It appears to be good. I’ve bookmarked it in my google bookmarks to come back then. Hiya, I am really glad I’ve found this info. Nowadays bloggers publish just about gossip and net stuff and this is really annoying. A good website with interesting content, that is what I need. Thanks for making this web-site, and I will be visiting again. Do you do newsletters by email? Hiya, I’m really glad I’ve found this information. Today bloggers publish just about gossip and web stuff and this is actually irritating. A good blog with interesting content, this is what I need. Thanks for making this web site, and I will be visiting again. Do you do newsletters by email? Hey there. I discovered your blog by the use of Google whilst looking for a similar matter, your website came up. It appears to be great. I’ve bookmarked it in my google bookmarks to visit then. Real nice pattern and superb content , absolutely nothing else we want : D.
Hey there. I discovered your website via Google at the same time as searching for a comparable subject, your site came up. It appears good. I have bookmarked it in my google bookmarks to come back then. Hi there. I discovered your blog via Google at the same time as searching for a similar topic, your site got here up. It seems good. I have bookmarked it in my google bookmarks to come back then. Its like you read my mind! You appear to know so much about this, like you wrote the book in it or something. I think that you could do with some pics to drive the message home a bit, but instead of that, this is fantastic blog. A fantastic read. I’ll definitely be back. Great post. I was checking constantly this blog and I’m impressed! Very useful info particularly the last part 🙂 I care for such information a lot. I was looking for this particular info for a long time. Thank you and best of luck. I have been reading out many of your articles and it’s nice stuff. I will definitely bookmark your blog. You are my breathing in, I possess few web logs and often run out from post :). “No opera plot can be sensible, for people do not sing when they are feeling sensible.” by W. H. Auden. Hello there. I discovered your website via Google even as searching for a related topic, your site came up. It appears good. I have bookmarked it in my google bookmarks to come back then. Hiya, I am really glad I have found this information. Today bloggers publish just about gossip and internet stuff and this is really annoying. A good web site with interesting content, that is what I need. Thank you for making this web site, and I’ll be visiting again. Do you do newsletters by email? Hiya, I’m really glad I’ve found this information. Today bloggers publish just about gossip and internet stuff and this is actually irritating. A good blog with exciting content, this is what I need. Thanks for making this website, and I’ll be visiting again. Do you do newsletters by email? Just wish to say your article is as astonishing. The clearness in your post is just great and i can assume you are an expert on this subject. Well with your permission allow me to grab your RSS feed to keep updated with forthcoming post. Thanks a million and please keep up the rewarding work. What i do not realize is actually how you are not really a lot more well-preferred than you may be now. You’re so intelligent. You already know therefore significantly when it comes to this subject, made me personally consider it from numerous varied angles. Its like women and men are not interested except it is one thing to do with Lady gaga! Your individual stuffs outstanding. At all times deal with it up! Hello there. I found your web site by way of Google while searching for a comparable topic, your web site came up. It seems to be good. I’ve bookmarked it in my google bookmarks to come back then. Hiya, I am really glad I’ve found this information. Today bloggers publish just about gossip and web stuff and this is actually frustrating. A good blog with interesting content, that is what I need. Thank you for making this web site, and I will be visiting again. Do you do newsletters by email? Hiya, I am really glad I have found this information. Today bloggers publish just about gossip and net stuff and this is really frustrating. A good website with interesting content, that is what I need. Thank you for making this web-site, and I’ll be visiting again. Do you do newsletters by email? Hey there. I found your website by way of Google even as searching for a related topic, your web site got here up. It seems to be good. I have bookmarked it in my google bookmarks to come back then. Hiya, I am really glad I have found this info. Nowadays bloggers publish just about gossip and web stuff and this is really annoying. A good site with exciting content, that is what I need. Thanks for making this website, and I’ll be visiting again. Do you do newsletters by email? Hiya, I am really glad I have found this info. Nowadays bloggers publish only about gossip and internet stuff and this is really irritating. A good website with interesting content, this is what I need. Thanks for making this web-site, and I’ll be visiting again. Do you do newsletters by email? Hiya, I’m really glad I have found this info. Today bloggers publish just about gossip and net stuff and this is really frustrating. A good website with exciting content, that’s what I need. Thank you for making this web site, and I’ll be visiting again. Do you do newsletters by email? Nice read, I just passed this onto a friend who was doing a little research on that. And he just bought me lunch since I found it for him smile So let me rephrase that: Thanks for lunch! “But O the truth, the truth. The many eyes That look on it The diverse things they see.” by George Meredith. Hi there. I found your website via Google at the same time as looking for a related subject, your site got here up. It looks great. I have bookmarked it in my google bookmarks to come back then. Pretty section of content. I just stumbled upon your website and in accession capital to assert that I acquire in fact enjoyed account your blog posts. Anyway I’ll be subscribing to your augment and even I achievement you access consistently rapidly. Hiya, I am really glad I have found this info. Today bloggers publish just about gossip and web stuff and this is actually irritating. A good web site with interesting content, this is what I need. Thank you for making this web-site, and I’ll be visiting again. Do you do newsletters by email? Hello there. I found your web site by the use of Google whilst searching for a comparable subject, your site got here up. It seems to be good. I have bookmarked it in my google bookmarks to come back then. I would like to thnkx for the efforts you’ve put in writing this web site. I’m hoping the same high-grade website post from you in the upcoming also. In fact your creative writing abilities has encouraged me to get my own blog now. Actually the blogging is spreading its wings fast. Your write up is a good example of it. Hey there. I found your web site by the use of Google even as searching for a related matter, your website came up. It seems to be good. I have bookmarked it in my google bookmarks to visit then. Hi there. I found your web site via Google while searching for a similar subject, your site came up. It appears to be great. I have bookmarked it in my google bookmarks to visit then. Hello there. I discovered your site by the use of Google even as looking for a similar subject, your site came up. It appears to be good. I’ve bookmarked it in my google bookmarks to come back then. Real nice design and style and excellent subject material , nothing at all else we require : D.
Hiya, I’m really glad I’ve found this info. Nowadays bloggers publish just about gossip and internet stuff and this is actually frustrating. A good web site with exciting content, that’s what I need. Thank you for making this web-site, and I will be visiting again. Do you do newsletters by email? Hi there. I discovered your blog by means of Google even as looking for a comparable topic, your website came up. It appears to be good. I have bookmarked it in my google bookmarks to come back then. Hiya, I’m really glad I’ve found this info. Nowadays bloggers publish just about gossip and internet stuff and this is actually irritating. A good website with interesting content, this is what I need. Thank you for making this web-site, and I will be visiting again. Do you do newsletters by email? Hi there. I found your blog by the use of Google at the same time as looking for a related subject, your website got here up. It seems great. I’ve bookmarked it in my google bookmarks to come back then. Thanks, I’ve recently been searching for information approximately this topic for a while and yours is the best I’ve discovered so far. But, what concerning the bottom line? Are you sure in regards to the source? Hey there. I discovered your web site via Google while searching for a related subject, your web site got here up. It seems great. I have bookmarked it in my google bookmarks to come back then. Hiya, I am really glad I’ve found this information. Nowadays bloggers publish only about gossip and internet stuff and this is actually frustrating. A good web site with exciting content, this is what I need. Thanks for making this site, and I’ll be visiting again. Do you do newsletters by email? Hello there. I found your blog via Google while looking for a related topic, your web site got here up. It looks great. I have bookmarked it in my google bookmarks to visit then. Hiya, I’m really glad I have found this info. Today bloggers publish only about gossip and web stuff and this is actually irritating. A good web site with interesting content, that is what I need. Thanks for making this web site, and I’ll be visiting again. Do you do newsletters by email? Hiya, I am really glad I have found this information. Nowadays bloggers publish just about gossip and net stuff and this is really irritating. A good blog with exciting content, that’s what I need. Thank you for making this website, and I will be visiting again. Do you do newsletters by email? Hiya, I am really glad I have found this information. Today bloggers publish just about gossip and internet stuff and this is really irritating. A good web site with interesting content, that is what I need. Thanks for making this site, and I’ll be visiting again. Do you do newsletters by email? Hiya, I am really glad I’ve found this info. Today bloggers publish only about gossip and internet stuff and this is really annoying. A good site with exciting content, this is what I need. Thanks for making this site, and I will be visiting again. Do you do newsletters by email? Hi there. I discovered your blog by the use of Google whilst looking for a similar matter, your site came up. It seems great. I have bookmarked it in my google bookmarks to come back then. Hiya, I’m really glad I have found this info. Today bloggers publish just about gossip and net stuff and this is actually annoying. A good website with exciting content, this is what I need. Thanks for making this web site, and I will be visiting again. Do you do newsletters by email? Hiya, I’m really glad I’ve found this info. Today bloggers publish only about gossip and internet stuff and this is actually irritating. A good web site with exciting content, that is what I need. Thanks for making this site, and I will be visiting again. Do you do newsletters by email? Hiya, I am really glad I’ve found this information. Nowadays bloggers publish just about gossip and net stuff and this is really annoying. A good site with interesting content, that’s what I need. Thanks for making this site, and I’ll be visiting again. Do you do newsletters by email? Hiya, I am really glad I’ve found this info. Nowadays bloggers publish just about gossip and net stuff and this is actually annoying. A good web site with interesting content, that’s what I need. Thank you for making this site, and I will be visiting again. Do you do newsletters by email? Hi there. I found your site via Google at the same time as searching for a related matter, your site came up. It appears great. I have bookmarked it in my google bookmarks to visit then. Hi there. I found your website by means of Google while searching for a comparable topic, your website got here up. It seems good. I’ve bookmarked it in my google bookmarks to come back then. Have you ever thought about creating an e-book or guest authoring on other sites? I have a blog based on the same information you discuss and would love to have you share some stories/information. I know my viewers would appreciate your work. If you’re even remotely interested, feel free to shoot me an e-mail. Hiya, I am really glad I have found this information. Nowadays bloggers publish only about gossip and internet stuff and this is actually frustrating. A good site with exciting content, this is what I need. Thanks for making this site, and I will be visiting again. Do you do newsletters by email? Hello there. I discovered your site by the use of Google while looking for a similar subject, your site got here up. It looks good. I have bookmarked it in my google bookmarks to visit then. Hey there are using WordPress for your site platform? I’m new to the blog world but I’m trying to get started and set up my own. Do you need any coding knowledge to make your own blog? Any help would be greatly appreciated! Greetings I am so excited I found your weblog, I really found you by accident, while I was searching on Google for something else, Anyhow I am here now and would just like to say thanks for a marvelous post and a all round exciting blog (I also love the theme/design), I don’t have time to look over it all at the moment but I have book-marked it and also added in your RSS feeds, so when I have time I will be back to read more, Please do keep up the excellent job. Hi! I could have sworn I’ve been to this site before but after reading through some of the post I realized it’s new to me. Anyways, I’m definitely glad I found it and I’ll be bookmarking and checking back often! Have you ever thought about including a little bit more than just your articles? I mean, what you say is fundamental and everything. However imagine if you added some great graphics or video clips to give your posts more, “pop”! Your content is excellent but with images and video clips, this site could undeniably be one of the greatest in its niche. Amazing blog! Howdy! Do you know if they make any plugins to assist with Search Engine Optimization? I’m trying to get my blog to rank for some targeted keywords but I’m not seeing very good gains. If you know of any please share. Appreciate it! I really like what you guys are up too. This kind of clever work and exposure! Keep up the amazing works guys I’ve included you guys to my blogroll. My spouse and I stumbled over here by a different page and thought I might as well check things out. I like what I see so now i am following you. Look forward to going over your web page again. Hi there, i read your blog occasionally and i own a similar one and i was just curious if you get a lot of spam feedback? If so how do you reduce it, any plugin or anything you can recommend? I get so much lately it’s driving me insane so any assistance is very much appreciated. Howdy excellent website! Does running a blog like this take a massive amount work? I’ve very little expertise in programming however I was hoping to start my own blog in the near future. Anyway, should you have any ideas or tips for new blog owners please share. I understand this is off topic but I simply had to ask. Many thanks! Hiya, I’m really glad I have found this information. Today bloggers publish just about gossip and net stuff and this is really annoying. A good site with exciting content, this is what I need. Thank you for making this web site, and I’ll be visiting again. Do you do newsletters by email? Hey there. I discovered your website by means of Google while looking for a related matter, your site came up. It seems to be good. I have bookmarked it in my google bookmarks to visit then. Hiya, I’m really glad I’ve found this information. Today bloggers publish only about gossip and net stuff and this is actually frustrating. A good blog with interesting content, that’s what I need. Thank you for making this web site, and I will be visiting again. Do you do newsletters by email? Hey there. I discovered your blog by way of Google whilst looking for a related subject, your website got here up. It seems to be good. I have bookmarked it in my google bookmarks to come back then. Hiya, I am really glad I’ve found this info. Nowadays bloggers publish only about gossip and net stuff and this is actually irritating. A good site with exciting content, this is what I need. Thanks for making this site, and I’ll be visiting again. Do you do newsletters by email? First off I want to say awesome blog! I had a quick question that I’d like to ask if you do not mind. I was curious to know how you center yourself and clear your thoughts before writing. I have had trouble clearing my mind in getting my thoughts out. I truly do take pleasure in writing but it just seems like the first 10 to 15 minutes tend to be lost simply just trying to figure out how to begin. Any suggestions or tips? Kudos! Hello there. I found your blog by way of Google at the same time as searching for a related topic, your website came up. It seems good. I’ve bookmarked it in my google bookmarks to come back then. Hello there. I found your web site by the use of Google even as searching for a related topic, your website came up. It seems to be good. I have bookmarked it in my google bookmarks to come back then. Hello there. I discovered your blog via Google whilst searching for a comparable subject, your web site came up. It appears to be good. I’ve bookmarked it in my google bookmarks to come back then. Hey there. I discovered your web site by the use of Google even as looking for a similar subject, your website got here up. It seems good. I have bookmarked it in my google bookmarks to visit then. Hello there. I found your blog by means of Google while looking for a related matter, your website got here up. It appears to be great. I’ve bookmarked it in my google bookmarks to come back then. Hiya, I’m really glad I’ve found this info. Nowadays bloggers publish only about gossip and net stuff and this is actually irritating. A good site with interesting content, this is what I need. Thank you for making this web-site, and I will be visiting again. Do you do newsletters by email? Hi there. I found your site by means of Google even as searching for a similar subject, your website got here up. It seems to be great. I have bookmarked it in my google bookmarks to come back then. Hello there. I found your website by means of Google whilst searching for a related subject, your web site came up. It seems to be great. I have bookmarked it in my google bookmarks to visit then. Hello there. I discovered your website by the use of Google even as looking for a related subject, your website came up. It seems to be great. I have bookmarked it in my google bookmarks to visit then. Hiya, I am really glad I’ve found this information. Today bloggers publish just about gossip and net stuff and this is actually frustrating. A good website with interesting content, this is what I need. Thank you for making this site, and I will be visiting again. Do you do newsletters by email? Hiya, I am really glad I have found this info. Nowadays bloggers publish only about gossip and net stuff and this is really frustrating. A good blog with exciting content, that is what I need. Thanks for making this web site, and I’ll be visiting again. Do you do newsletters by email? Hi there. I found your site by the use of Google at the same time as searching for a related subject, your site came up. It appears to be great. I’ve bookmarked it in my google bookmarks to come back then. Hello there. I discovered your blog by means of Google whilst searching for a similar subject, your web site came up. It seems to be good. I’ve bookmarked it in my google bookmarks to visit then. Hiya, I am really glad I have found this info. Today bloggers publish only about gossip and net stuff and this is really irritating. A good site with exciting content, this is what I need. Thanks for making this web-site, and I’ll be visiting again. Do you do newsletters by email? Hello there. I found your site by the use of Google whilst searching for a related subject, your web site came up. It appears to be good. I’ve bookmarked it in my google bookmarks to come back then. Hey there. I discovered your website by way of Google whilst looking for a similar subject, your site came up. It looks good. I have bookmarked it in my google bookmarks to visit then. Hi there. I found your website by the use of Google while looking for a related topic, your website came up. It appears great. I’ve bookmarked it in my google bookmarks to come back then. Hello there. I discovered your site by means of Google at the same time as searching for a comparable matter, your website came up. It appears great. I have bookmarked it in my google bookmarks to visit then. Hello there. I discovered your site by the use of Google at the same time as searching for a similar matter, your web site came up. It appears great. I’ve bookmarked it in my google bookmarks to come back then. Its like you read my mind! You appear to know so much about this, like you wrote the book in it or something. I think that you could do with a few pics to drive the message home a little bit, but instead of that, this is great blog. A fantastic read. I’ll definitely be back. Hiya, I am really glad I’ve found this info. Nowadays bloggers publish just about gossip and internet stuff and this is really annoying. A good site with exciting content, this is what I need. Thank you for making this web site, and I’ll be visiting again. Do you do newsletters by email? Hi there. I discovered your blog by way of Google whilst looking for a similar matter, your site came up. It seems great. I have bookmarked it in my google bookmarks to come back then. Hiya, I am really glad I have found this information. Today bloggers publish just about gossip and web stuff and this is really frustrating. A good blog with exciting content, this is what I need. Thanks for making this website, and I will be visiting again. Do you do newsletters by email? Hey there. I found your site by means of Google at the same time as searching for a related matter, your website got here up. It seems good. I’ve bookmarked it in my google bookmarks to visit then. Hey, I think your blog might be having browser compatibility issues. When I look at your blog in Ie, it looks fine but when opening in Internet Explorer, it has some overlapping. I just wanted to give you a quick heads up! Other then that, great blog! Hiya, I’m really glad I have found this information. Today bloggers publish just about gossip and web stuff and this is really annoying. A good site with interesting content, this is what I need. Thank you for making this web site, and I’ll be visiting again. Do you do newsletters by email? Hey there. I found your blog via Google while looking for a similar matter, your web site got here up. It seems good. I have bookmarked it in my google bookmarks to visit then. Hiya, I’m really glad I have found this info. Nowadays bloggers publish just about gossip and web stuff and this is actually annoying. A good blog with interesting content, that is what I need. Thank you for making this site, and I’ll be visiting again. Do you do newsletters by email? Hiya, I am really glad I’ve found this info. Today bloggers publish only about gossip and internet stuff and this is really irritating. A good web site with exciting content, this is what I need. Thank you for making this site, and I’ll be visiting again. Do you do newsletters by email? Hiya, I’m really glad I have found this information. Nowadays bloggers publish only about gossip and internet stuff and this is really annoying. A good blog with exciting content, that is what I need. Thanks for making this web site, and I will be visiting again. Do you do newsletters by email? Hiya, I’m really glad I have found this information. Nowadays bloggers publish just about gossip and net stuff and this is actually irritating. A good web site with interesting content, this is what I need. Thank you for making this site, and I will be visiting again. Do you do newsletters by email? Hiya, I am really glad I have found this info. Nowadays bloggers publish just about gossip and web stuff and this is really frustrating. A good site with exciting content, that is what I need. Thank you for making this web-site, and I will be visiting again. Do you do newsletters by email? Hello there. I found your website by means of Google while searching for a related subject, your website got here up. It looks great. I have bookmarked it in my google bookmarks to come back then. Hi there. I discovered your site by means of Google even as searching for a similar subject, your website came up. It appears to be good. I have bookmarked it in my google bookmarks to visit then. Hiya, I am really glad I have found this information. Today bloggers publish just about gossip and internet stuff and this is actually annoying. A good web site with interesting content, that is what I need. Thank you for making this site, and I will be visiting again. Do you do newsletters by email? Hiya, I am really glad I’ve found this info. Today bloggers publish only about gossip and net stuff and this is really irritating. A good site with interesting content, that’s what I need. Thanks for making this web site, and I will be visiting again. Do you do newsletters by email? Hello there. I discovered your web site by the use of Google even as looking for a related subject, your site got here up. It appears great. I have bookmarked it in my google bookmarks to come back then. Hey there. I found your blog by way of Google at the same time as looking for a similar matter, your website came up. It appears great. I’ve bookmarked it in my google bookmarks to visit then. Hiya, I’m really glad I’ve found this information. Today bloggers publish just about gossip and net stuff and this is really frustrating. A good website with exciting content, that’s what I need. Thank you for making this web site, and I’ll be visiting again. Do you do newsletters by email? Hi there. I discovered your website by means of Google even as searching for a comparable matter, your web site came up. It appears to be good. I’ve bookmarked it in my google bookmarks to come back then. Hey there. I found your web site via Google even as searching for a similar topic, your website came up. It seems good. I’ve bookmarked it in my google bookmarks to visit then. Hi there. I discovered your blog by the use of Google while looking for a related matter, your site got here up. It looks good. I’ve bookmarked it in my google bookmarks to come back then. Superb post but I was wanting to know if you could write a litte more on this subject? I’d be very thankful if you could elaborate a little bit further. Thank you! Thanks for your marvelous posting! I definitely enjoyed reading it, you’re a great author.I will be sure to bookmark your blog and will eventually come back in the foreseeable future. I want to encourage one to continue your great writing, have a nice holiday weekend! Hiya, I am really glad I’ve found this information. Nowadays bloggers publish only about gossip and internet stuff and this is really irritating. A good website with exciting content, this is what I need. Thank you for making this web-site, and I will be visiting again. Do you do newsletters by email? Howdy! Someone in my Facebook group shared this site with us so I came to give it a look. I’m definitely enjoying the information. I’m book-marking and will be tweeting this to my followers! 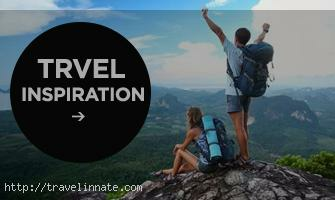 Outstanding blog and superb style and design. Hiya, I am really glad I have found this info. Today bloggers publish just about gossip and internet stuff and this is really frustrating. A good website with exciting content, that’s what I need. Thank you for making this web site, and I will be visiting again. Do you do newsletters by email? I have been surfing on-line greater than three hours lately, yet I never found any interesting article like yours. It’s lovely price sufficient for me. Personally, if all webmasters and bloggers made excellent content as you probably did, the internet shall be much more useful than ever before. “Revolution is not a onetime event.” by Audre Lorde. I’ve recently started a site, the info you offer on this site has helped me greatly. Thank you for all of your time & work. “Her grandmother, as she gets older, is not fading but rather becoming more concentrated.” by Paulette Bates Alden. Hello there, I discovered your site by the use of Google even as searching for a similar subject, your website came up, it appears to be like good. I’ve bookmarked it in my google bookmarks. Just wish to say your article is as surprising. The clarity in your post is simply excellent and i could assume you’re an expert on this subject. Well with your permission let me to grab your feed to keep up to date with forthcoming post. Thanks a million and please continue the enjoyable work. Hiya, I’m really glad I have found this info. Today bloggers publish only about gossip and web stuff and this is actually irritating. A good web site with exciting content, that is what I need. Thanks for making this site, and I’ll be visiting again. Do you do newsletters by email? Hiya, I am really glad I have found this information. Today bloggers publish only about gossip and internet stuff and this is actually frustrating. A good web site with exciting content, this is what I need. Thanks for making this web-site, and I will be visiting again. Do you do newsletters by email? Hiya, I’m really glad I have found this info. Today bloggers publish only about gossip and web stuff and this is actually annoying. A good website with exciting content, that is what I need. Thanks for making this website, and I’ll be visiting again. Do you do newsletters by email? Hello there. I found your site by way of Google whilst searching for a comparable topic, your website came up. It seems good. I have bookmarked it in my google bookmarks to come back then. hello!,I like your writing so so much! percentage we keep in touch extra approximately your post on AOL? I need a specialist on this house to resolve my problem. Maybe that is you! Taking a look ahead to look you. Hey there. I discovered your website by way of Google at the same time as looking for a similar subject, your site got here up. It seems to be good. I’ve bookmarked it in my google bookmarks to come back then. Hello there. I discovered your web site by way of Google while looking for a related subject, your site came up. It appears good. I’ve bookmarked it in my google bookmarks to come back then. Hiya, I am really glad I have found this information. Nowadays bloggers publish only about gossip and web stuff and this is really annoying. A good website with exciting content, this is what I need. Thank you for making this website, and I’ll be visiting again. Do you do newsletters by email? Hey there. I found your website via Google at the same time as looking for a comparable subject, your website came up. It appears good. I have bookmarked it in my google bookmarks to visit then.